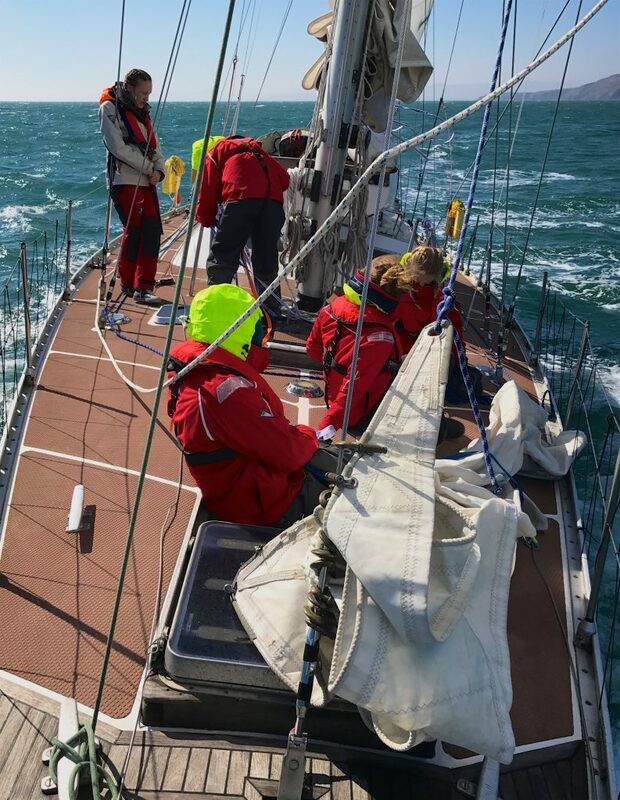 I’ve just returned after 8 days sailing as First Mate with the Morvargh team on the Round Britain Challenge – a venture that sets out to change & inspire the lives of 8 young people during a 2,000-mile voyage visiting some 17 ports along the way. 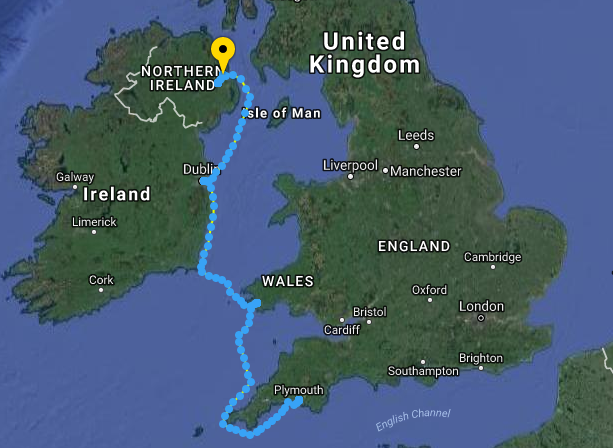 My section took us from Plymouth to Milford Haven, then Dublin and on to Belfast. I thought it would be useful to share my experience – for the trainees to read my observations on their development and give a taste of what it might be like in the future to be AfterGuard themselves; for the parents and young people contemplating embarking one of the standard 7 day voyages offered by Morvargh; and for myself to capture my feelings and help get through saying goodbye yesterday. Matt (Director of Morvargh and skipper of Helen Mary R) asked me if I’d be willing to be First Mate after our training weekend in Plymouth a few weeks ago. As a commercially endorsed Yachtmaster, I had the qualifications and a good deal of skippering experience myself but none on a yacht this big and never with 16 on board. 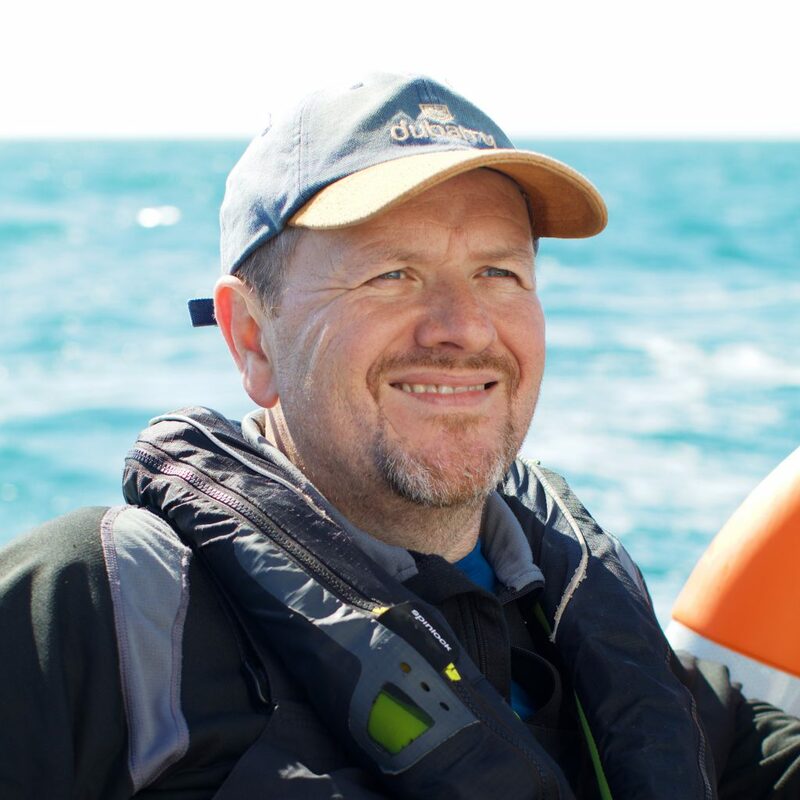 Matt and I hit it off very well from the start – it was obvious to me that we shared a common vision of what good seamanship means, that skippering really means leadership and that the best way to learn is through mistakes made in a safe environment. What does a First Mate do? The role of First Mate, if it’s not obvious, is the number two crew on board. 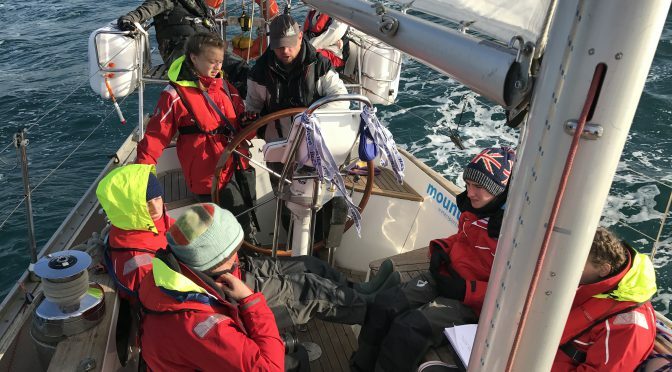 Morvargh has a well thought out team structure – Skipper, First Mate, Watch Officers (one for each of the starboard & port watches), AfterGuard crew and trainee crew. There is no reason (and it’s happened before) why a trainee can’t come back as AfterGuard and progress to Watch Officer. From there to First Mate and eventually (with experience) to Skipper. The trainees and crew were organised into two watches comprising 4 trainees, 2 AfterGuard and a Watch Officer. During our 3 passages which varied from 20 to 34 hours non-stop sailing they would follow a 4 hours on, 4 hours off rota. This is tough – it’s cold, wet, seasickness may set in and you’re very tired – often you just want it to end. It’s important to have strategies to overcome this – frequent role changes, games and even singing. Many, many times the trainees took the lead on this. Matt & I followed a separate 4 hours on, 4 hours off watch system staggered by two hours so we’d see each watch at work and to mix it up a bit. At the end of the day, the Skipper is legally responsible for the safety of all the crew – he’s the one who shoulders the ultimate responsibility for keeping 8 children safe. A key role of the First Mate and Watch Officers is to run the boat well enough so he can rest sufficiently. We were very fortunate to have two very able Watch Officers (Vicky and Beth) leading the less experienced crew and trainees but understandably on the first leg Matt found it difficult to relax enough to be able to sleep. For the next two legs, he was getting some proper shut eye – the ultimate compliment for a First Mate in my view. All too often it’s tempting to do things yourself because it’s quicker, so another key skill for aspiring senior crew is delegation and enabling all the crew to step outside their comfort zones. Matt is expert at this – offering me the chance to park his beloved Helen Mary R in Dublin seemed, to me, a massive deal (he knows I’ve never parked a 30 tonne, 57’ yacht before). Hoisting and changing sails is one of the more demanding jobs on board. These evolutions involve hauling a 250lb sail out of a deep locker at the bow, sometimes in rolling seas, rigging it correctly (easy to make mistakes) and hauling it up a 68-foot mast. As Round Britain progresses, the trainees will become capable of running these evolutions on their own, but to start off with it was the AfterGuard with trainees assisting. After 8 days, a Watch Officer was overseeing the operation. When I first got connected with Morvargh a few years ago, I thought it would be another way to get some sailing in along with a way, as I got older, to give back to the community. The Round Britain challenge excited me but I knew work commitments (damn those) would not allow me to stay the whole 5 weeks. So, I committed to the first week partly because the start date was the most predictable but also to see how the novices progressed from ground zero. I wasn’t really sure what it would be like. Despite having three of my own (or perhaps because I do!) I was nervous about the children – I thought keeping them safe would be the easy part but what if they were hard work themselves? What if they were apathetic? It would be unbearable. 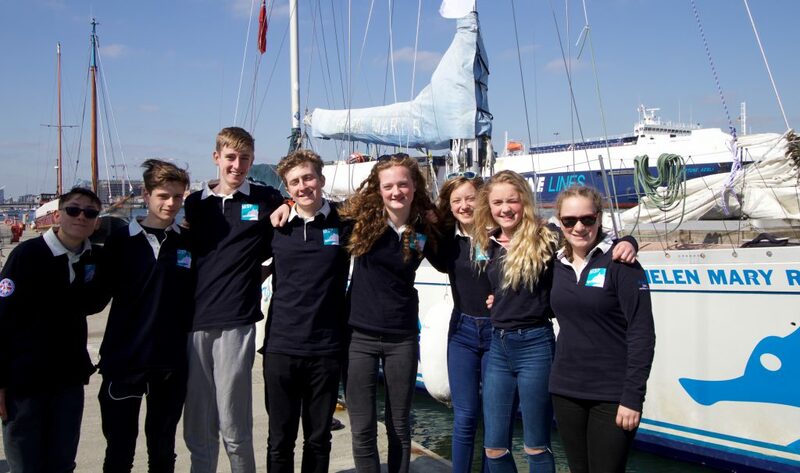 The banter and laughter when sailing is what makes it for many of us – but how would this need to work with 8 impressionable teenagers? Could it? To give you a sense of perspective, during our first passage we sailed for 34 hours. Before we left Plymouth Sound one trainee was already green. The first 10 hours was beautiful sailing but as we rounded Lands End the sea state changed and all but two trainees were sick. The record was proudly held by Antonio at 14 times! It got very cold. It rained No one wanted to change into warm clothes because it meant going down below and that meant being sick. None of them wanted to re-hydrate because that would result in going down below to visit the heads later which meant being sick again. When you don’t re-hydrate it can make you more seasick. When you get cold it makes you more withdrawn and more seasick. This went on for 24 hours. A whole day. In case anyone has forgotten – you can’t get off a yacht when it’s in the middle of the Bristol Channel. Not once did any of the trainees complain or moan – not even a hint of it. This is nothing short of remarkable. Words cannot express how amazed the AfterGuard were and how proud their families should be. It was a privilege to sail with them. As for the banter – I’ve done a good deal of sailing with friends and groups of people drawn together with a common love of sailing. Almost always, we have terrific fun and we laugh a lot. But I can honestly say, the last 8 days have been fantastic. Whether it’s Antonio’s hilarious matter of fact surmising of any situation or statement, Iris’s ‘Silly Goose’, Georgia pulling cornflake packets from the bilge with her teeth without touching the floor, Beth’s razor sharp wit, Ryan searching for ‘De Caprio’ in the Titantic museum passenger roster, Poppy pretending she’s not competitive or Morgan & Kieran’s relentless pursuit of clothes peg victims. I arrived at Plymouth for the Round Britain Challenge thinking the trainees didn’t know how lucky they were. The truth is I was the lucky one.